Corded and cordless steam irons allow people to remove wrinkles safely from clothing with steam. In time, though, as with any appliance, a steam iron can break down. Many people opt to buy a new iron rather than fix an old one, as the overall cost for a new iron may prove less than repair. As certain parts in a steam iron could potentially damage the environment, and appliances often fill up landfills quickly, it is extremely important to dispose of your steam iron in a manufacturer-approved and environmentally safe manner. 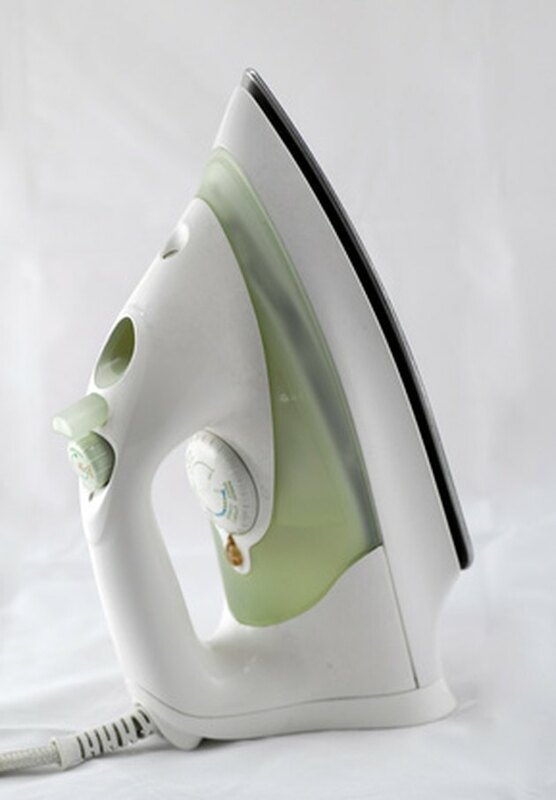 Find a recycling program for your old steam iron. Contact your local waste management department and ask about local pickup programs and other disposal options. Many areas have collection points for disposal of appliances such as steam irons. Some pickup programs through recycling companies help recycle appliances for parts or refurbishment and resale. Call your steam iron's manufacturer or the retailer where you purchased the iron -- especially if you're interested in purchasing the same brand of iron. As with local disposal options, many manufacturers and retailers also offer official recycling collection points for parts recycling and/or appliance refurbishment. In addition, many offer customers who recycle rather than throw out an appliance a discount -- sometimes called a recycling discount or trade-in allowance -- toward the purchase of a new iron through that manufacturer or retailer. Take the iron to an appliance repair shop and ask about disposal options. As with local waste management, recycling companies and manufacturers, repair shops reuse and recycle old appliances such as steam irons for parts or resell after repair. In addition, many will provide a discount toward the purchase of another appliance within the shop. In some cases, a repair shop may even offer a cash program, buying used appliances from consumers for parts.